Tawny frogmouths Podargus strigoides, photographed by P. Garlick. The order Caprimulgiformes has usually been used to include the nightjars and similar birds; phylogenetic studies indicate that the Apodiformes (swifts and hummingbirds) are also nested within this group (Mayr 2002). All members of the traditional Caprimulgiformes are crepuscular or nocturnal birds with wide beaks, a large gape, and soft cryptically-coloured plumage, that feed on the wing (most are insectivores; the oilbird Steatornis caripensis is frugivorous); Apodiformes have lost some of these characters, but still feed on the wing. Morphological support for the total group of Caprimulgiformes (including Apodiformes) is, however, uncertain (Mayr 2002). Basal groups within the Caprimulgiformes include the Podargidae (frogmouths), stocky birds with very broad gapes found in southern Asia and Australasia. The larger Australasian frogmouths of the genus Podargus feed on small vertebrates as well as insects; the smaller Asian frogmouths of the genus Batrachostomus are more strictly insectivorous. [Ma02] Mayr, G. 2002. Osteological evidence for paraphyly of the avian order Caprimulgiformes (nightjars and allies). Journal für Ornithologie 143: 82-97. [Ma03] Mayr, G. 2003. On the phylogenetic relationships of trogons (Aves, Trogonidae). Journal of Avian Biology 34 (1): 81-88. [Ml02] Mlíkovský, J. 2002. Cenozoic Birds of the World. Part 1: Europe. Ninox Press: Praha. [Mo03] Morcombe, M. 2003. Field Guide to Australian Birds, 2nd ed. 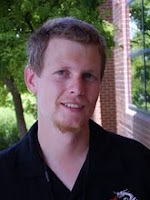 Steve Parish Publishing. [S66] Sclater, P. L. 1866. Notes upon the American Caprimulgidae. Proceedings of the Zoological Society of London 1866: 123-145. [S55] Steinbacher, J. 1955. Über die Schwanzmauser der Eulen (Strigidae) und Nachtschwalben (Caprimulgidae). Senckenbergiana Biologica 36: 235-240. I am wondering if you sell rights to your images? 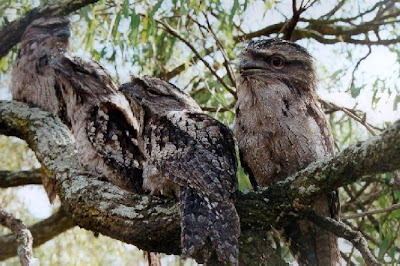 I am not looking for exclusive rights, just an image of frogmouths for a children's counting book I am writing (conservation message) using photos of Australian fauna. Love your frogmouth one - I need either three or four -" pretending to be bark". As I point out in the disclaimer, I'm not the creator of the images on this site, so they're not mine to sell. The source of the image is linked to in the caption; hopefully that will allow you to contact the original owner.